Assign work to staff and track progress in real time. 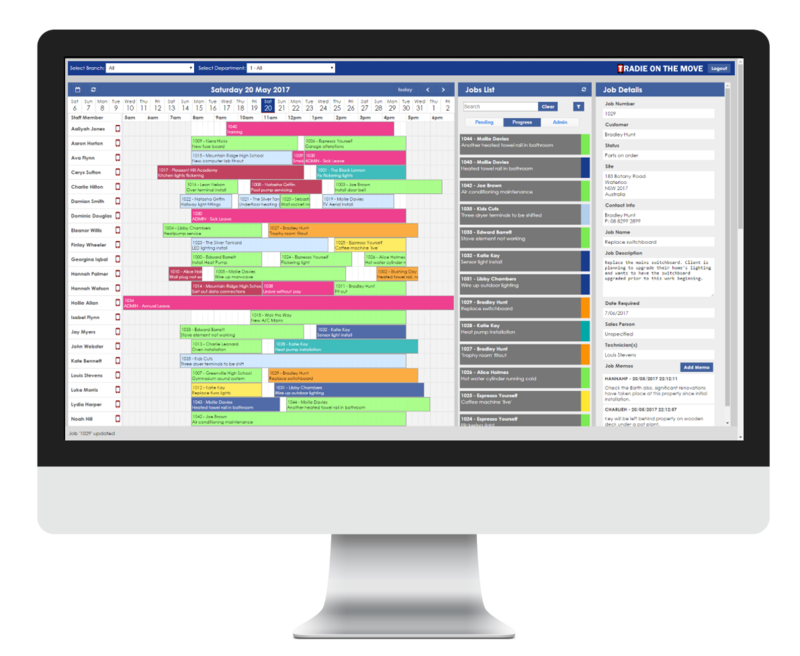 The Tradie On The Move Scheduler enables your business to create run-sheets for staff and track job progress in real time. The Scheduler is automatically updated when new jobs are added to Accredo so that dispatch staff can delegate work as it is reported. Assign multiple team members to larger jobs or assign jobs for weeks at a time where necessary. Jobs are colour coded by their status to provide an overview of job progress at a glance. 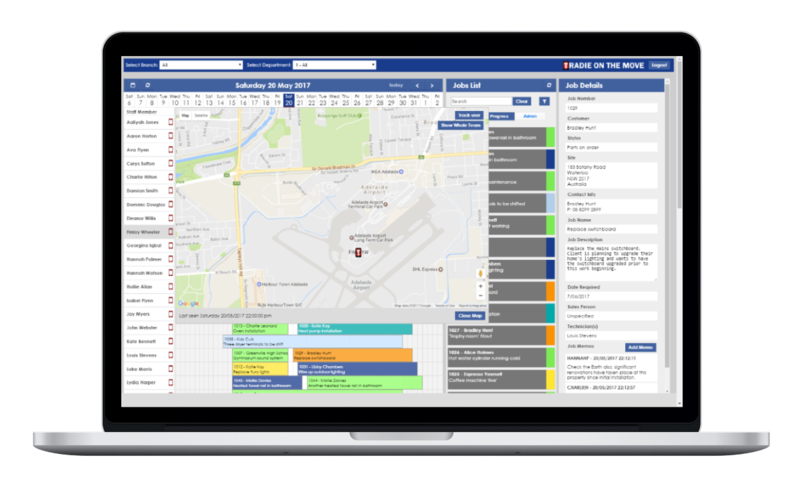 Tradie On The Move can track your staff members so you can find the nearest staff members for urgent jobs or check staff are running to schedule. Staff locations are displayed in an easy to understand map-view where you can view individual staff members or the whole team. 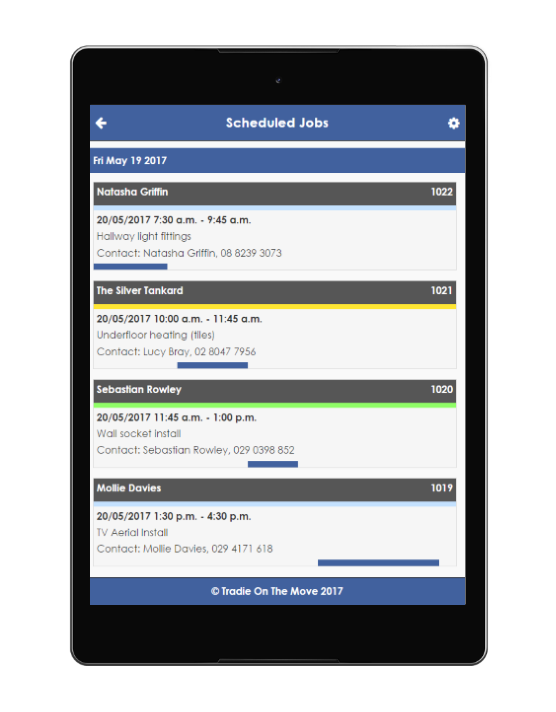 Quickly notify staff from the Scheduler with Tradie's built in SMS facility. Connecting your staff with Accredo from anywhere. Provide your team with an up to date view of their day. See their schedule along with job details, site contacts, and map info. Tradie On The Move continues to run when your team are out of data coverage. 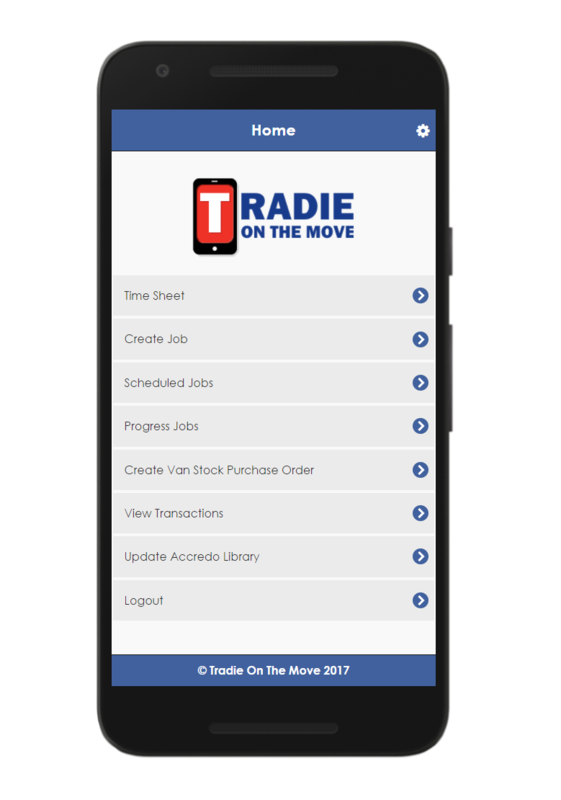 The Tradie mobile interface is designed to get things done, fast! We work with Tradies to ensure relevant information is readily available, and that buttons are large, easy to find and simple to understand. Tradie is designed to run on either a tablet or smartphone. Because Tradie runs on a large variety of tablets and smartphones you have the option to provide your staff with devices or allow staff to use personal devices. Keeping your data secure is built into everything we do. We ensure only the right people have access to information and that all data sent between Accredo and Tradie is protected using HTTPS. Health and Safety and Compliance Certificates are an integral part of what tradies do every day. Capturing this information while onsite is critical to your company being compliant and ensuring your team is safe. 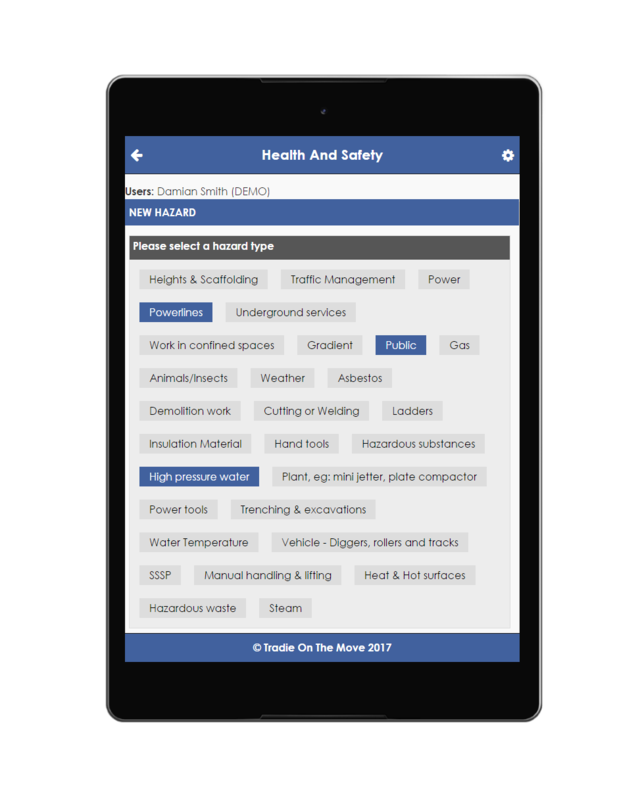 Tradie On The Move makes it simple for staff to identify hazards on a job and specify the controls taken to mitigate the risk of incidents. A record of this is stored against the job in Accredo. We can provide your team with an online catalog of your operating manuals, Standard Operating Procedures and Hazard Control Plans to ensure staff have access to reference material at all times. Talk to us about digitising your current compliance certificates so these can be delivered through Tradie while still at the job site.